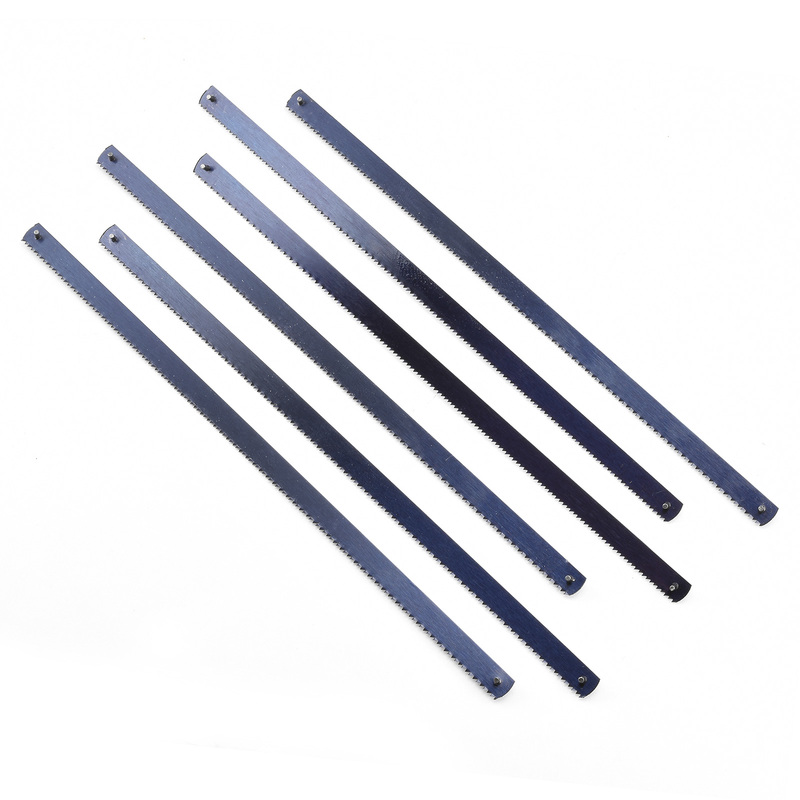 Replacement blades for #60661 Mini Hack Saw (available separately). 24 tpi x 6 inches long pinned blades. Excellent for cutting metal, as well as wood (including hardwood) and plastic. Blade kerf is 1/32” and teeth have "Set" alternating left and right. Made in Taiwan. Package of 6 blades.